Hey Beautiful! 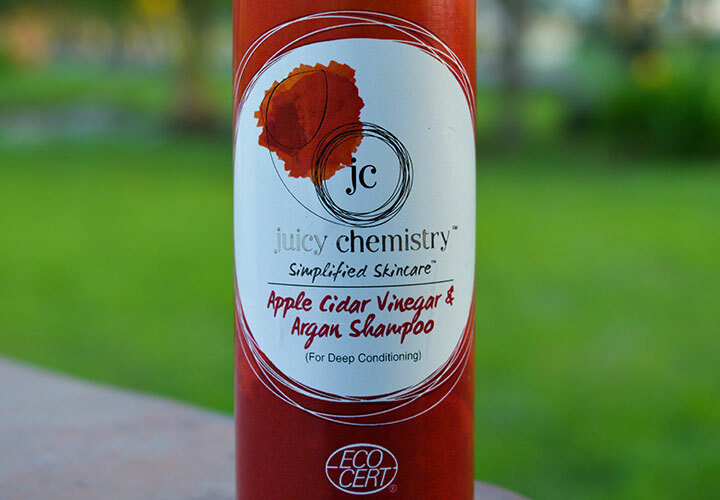 So, today I am going to review Juicy Chemistry Apple Cider Vinegar and Argan Shampoo. Juicy Chemistry has a number of amazing shampoo bars and two liquid shampoos in their kitty. This Argan Shampoo is the latest addition. I am someone who is a die-hard fan of Juicy Chemistry products. There are two brands namely Juicy Chemistry and Aroma Essentials that I have recommended to many of my friends, subscribers, and relatives. And, of course! They loved them. The last shampoo that I used from JC is their Baobab Shampoo which surprisingly could not impress me much. But, I promise that while reviewing this shampoo, I would not consider my past experience and also my passionate love for Juicy Chemistry. So, let me share my experience in detail with the Juicy Chemistry Apple Cider Vinegar and Argan Shampoo. Juicy Chemistry is a joint venture of Pritesh and Megha Asher. They started this beautiful journey in 2014. This brand is totally focused on producing products made from the purest and the most nutritious ingredients from the lap of nature. All the ingredients are hand-picked mostly, and thus the quality assurance is 100%. 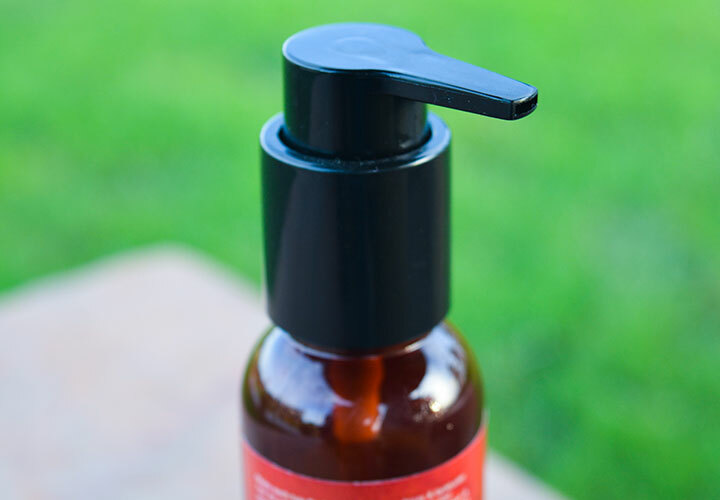 The duo researched a lot and formulated some stunning products. Most of their products are made using essential oils, beeswax, and natural butter. What started as a journey that became a global phenomenon. Now, they have global consumers all around the world. Very recently, Juicy Chemistry has been awarded Certified Organic by Ecocert Greenlife under COSMOS Standard. At this point in time, just within a year, they have over 100+ products in their kitty which is stunning in every sense. 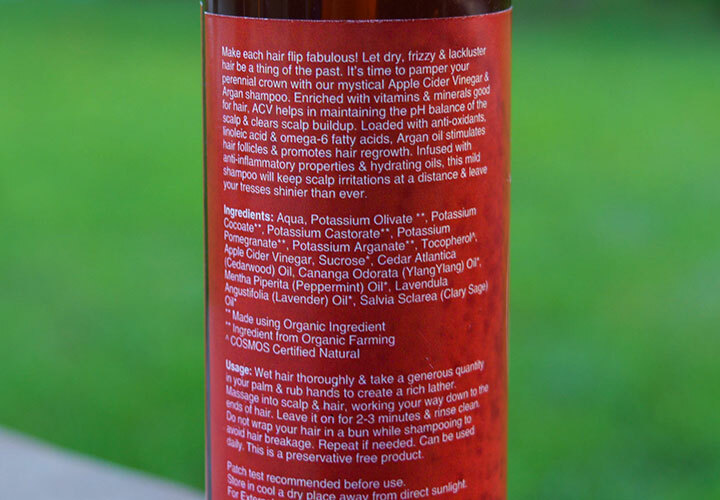 What Does the Brand Claim about Juicy Chemistry Apple Cider Vinegar and Argan Shampoo? It is time to make every hair strand super smooth. Let your dry and lifeless hair be a tale of the past. Make each hair flip fabulously! It is time to take care of your crown with our natural formulation that has the goodness of Apple Cider Vinegar & Argan shampoo. ACV has loads of vitamins and minerals that help in maintaining the pH balance of the scalp. Keep your scalp clean and clear. Argan Oil is enriched with anti-oxidants, linoleic acid, and omega–6 fatty acids that promote hair growth and stimulate the hair follicles. This shampoo has some more hydrating oils that keep your scalp irritations at bay and give your hair a shiny bouncy. Juicy Chemistry had always been pretty particular about its ingredients. And, this shampoo is no exception too. I love how they have blended everything in the formulation. Most importantly, you would find almost every detail regarding all of their products on the internet, which is indeed stunning. Here, I have analyzed all the components. Let’s talk about all the ingredients of Juicy Chemistry Apple Cider Vinegar and Argan Shampoo. 1. Aqua: Of course, water is the basis of any liquid shampoo. 2. Potassium Olivate: It is an absolutely safe surfactant which is derived from Olive Oil. 3. Potassium Cocoate: It is also another safe surfactant that is derived from Coconut Acid. 4. Potassium Castorate: Another absolutely safe surfactant derived from Castor Oil. 5. Potassium Pomegranate: Nope! I could not find a single information about this component. But, I have emailed team JC. And, whenever they get back to me, I would update the details here. 6. Potassium Arganate: It is a safe surfactant derived from Argan Oil. 7. Tocopherol: It is basically Vitamin E which is absolutely an amazing emollient. 8. Apple Cider Vinegar: An age-old ingredient which is the best for maintaining the natural locks. The enzymes and acids in Apple Cider Vinegar help to unclog hair follicles. It keeps dandruff, itchiness and hair fall at bay. 9.Sucrose: Natural sugar which is excellent in retaining the moisturizing properties of hair. 10. Cedarwood Oil: It stimulates hair follicles and helps in the regrowth of hair. Overall, it helps in maintaining the all over hair profile. 11. 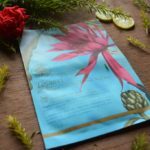 Ylang Ylang Oil: I have personally used Juicy Chemistry Ylang Ylang Oil and honestly it is pretty effective. This is quite an effective ingredient to reduce hair fall and treat hair thinning. 12. Peppermint Oil: The menthol present in this oil improves hair growth and induces more blood circulation on the scalp. 13. Lavender Oil: It is indeed an ancient method for hair growth. It moisturizes dry hair, restores the keratin, and soothes the irritated scalp. 14. Clary Sage Oil: It is an excellent oil in balancing the scalp oils and strengthens hair strands. Well! I, honestly feel that this time Juicy Chemistry has done an excellent job. The formulation seemed perfect to me. I loved how they have kept the balance in distributing the components. Overall, I would like to rate Juicy Chemistry Apple Cider Vinegar and Argan Shampoo 5 out of 5. Juicy Chemistry Apple Cider Vinegar and Argan Shampoo come in a usual packaging just like the Baobab shampoo. It is pretty travel-friendly. I like that how they use dark bottles just to protect the natural formulation from sun rays. The bottle is just the perfect. It has a pretty interesting texture that is not thick at all. The color is exactly that of Apple Cider Vinegar. 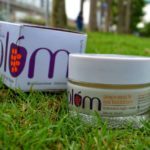 It is moderately thick and pretty easy to dilute in water, unlike the Baobab shampoo that used to become quite thick and not easy to dilute. Talking about the aroma, I find it quite cute and enigmatic. It is fresh and charming. In fact, the natural aroma would fill your mind with an utmost happiness for the next one day which is mind blowing indeed. Well! Surprisingly, today I have just finished this shampoo. And, I finished the whole 100ml bottle in 1 and a half months. First of all, it would be an absolute injustice if I compare this shampoo with the Baobab one. It takes a very very little amount to create the perfect lather. No matter how much dirt you have on your hair, it would clean everything within just 2 washes. And, I could not ask more than this from an all-natural formulation. 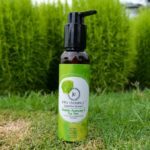 Juicy Chemistry Apple Cider Vinegar and Argan Shampoo is such a shampoo that every natural product lover must give a try. It is mild, delicate, pure, yet effective. A deadly combo indeed this shampoo is. Does Juicy Chemistry Apple Cider Vinegar and Argan Shampoo Cause Any Hairfall? No! I did not experience any extra hair fall while using this one. To be honest, neither did I experience any such thing with the earlier one. JC has always been very particular about its components. I am glad that they came up with something stunning like this. No harsh chemicals; totally organic. The surfactants are all naturally derivative which was the biggest plus point for me. Enriched with Apple Cider Vinegar and Essential Oils. Does not cause any excess hair fall. Cleanses very well; in fact, the foaming capacity is way better than many natural shampoos. Extremely pricey, something that commercial shampoo users would not even think of. Would I Repurchase/Recommend Juicy Chemistry Apple Cider Vinegar and Argan Shampoo? Well! A Big YES to both the questions. Try it out, I am sure that there is hardly any place for regret with this purchase. 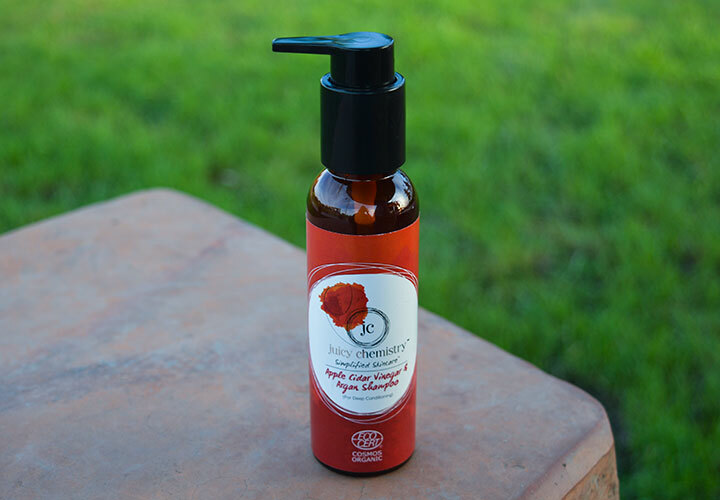 Juicy Chemistry Apple Cider Vinegar and Argan Shampoo is like a fresh breeze of air from the house of Juicy Chemistry. The formulation is brilliant; it does what it promises. 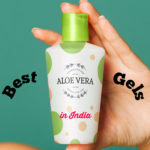 If you are someone who loves using natural products and rarely care about the price tag, then this shampoo is definitely made for you. Go ahead and give it a try just today. It sounds like a really nice shampoo. 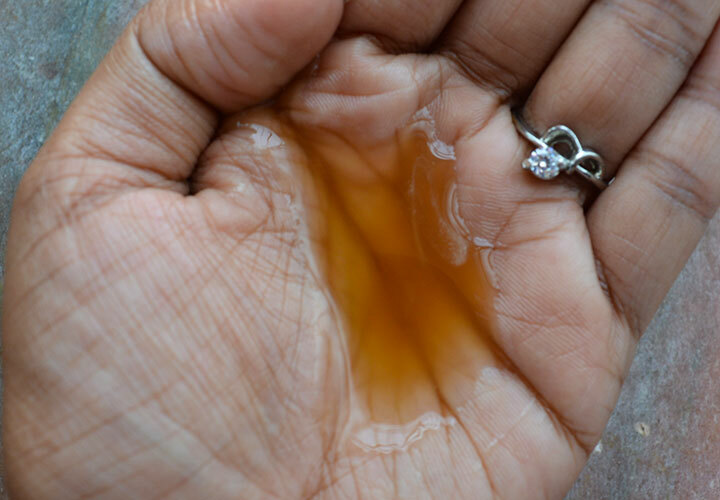 Apple cider vinegar has so many uses! I’m really digging the packaging too. I was disappointed with the previous JC shampoo. But looks like they have taken more care with this formulation. Is it suitable for dry hair also? I love that their products are all naturals are really good. But that price tag is definitely quite hefty. Always natural and less chemical hair products are good. Ingredients detail list quite amazing. For me shelf life of the product little concerning. Well i am a big fan of juicy chemistry products but this shampoo made my hair flat with almost no lather. I have oily scalp and dry ends. I did not look like i had shampooed my hair as there was no volume at all and hair looked oily.